Thanks to a new, community-wide philanthropic effort, Carolina Wildlife Center has an unprecedented opportunity to earn thousands of dollars in bonus donations. It’s called Midlands Gives, a 24-hour online giving marathon sponsored by the Central Carolina Community Foundation, and it’s all happening on Tuesday, May 6. Please take a moment to learn more about how you can help us magnify donations to CWC through this fun event! What is Midlands Gives all about? Midlands Gives is a 24-hour giving challenge designed to encourage people throughout the community to make online donations to their favorite causes. Participating nonprofits like Carolina Wildlife Center will compete against each other to attract the greatest number of people donating to their nonprofit within that 24-hour period. Central Carolina Community Foundation, in collaboration with other generous philanthropic partners, is making approximately $90,000 in bonus pool and special prize money available to nonprofits with the greatest number of people donating to their cause on Midlands Gives Day. How do I support Carolina Wildlife Center through Midlands Gives? 1. Mark your calendar or to-do list for Tuesday, May 6th as a reminder to give! 2. Help us spread the word; please share this opportunity with your friends via email or simply share the posts you see about Midlands Gives on the CWC Facebook and Twitter pages. Remember, it’s the number of people who give online to Carolina Wildlife Center – not the amount of the donation – that will qualify us for bonus donations. 3. Go to the Midlands Gives page to make your $20 or more donation on Tuesday, May 6, from 12:00 am to 11:59 pm. IMPORTANT NOTE: Contributions made though the Midlands Gives site only on May 6th count toward our status on the leader board; gifts made to the CWC through our donations page on our website are not counted toward Midlands Gives. 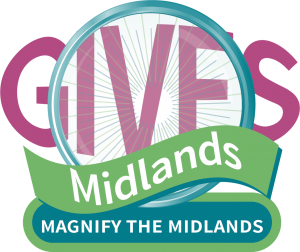 Giving on the Midlands Gives page is the only way the Community Foundation can accurately track gifts made during the 24-hour marathon. Why does Midlands Gives Day matter to Carolina Wildlife Center? The Midlands Gives program comes at a great time for Carolina Wildlife Center. Given the record numbers of injured and abandoned wildlife we expect to come through our doors this spring, the opportunity to leverage every donation made on May 6 with bonus dollars and additional prize money will go a long way to helping us reach our One for Wildlife campaign goal of $85,000 this spring to care for these youngest and most vulnerable animals. We are truly fortunate to have an organization like Central Carolina Community Foundation bringing these kinds of funding opportunities to organizations like Carolina Wildlife Center. Please join everyone at Carolina Wildlife Center in extending our thanks to them and your commitment to CWC by pledging a gift on Tuesday, May 6th.